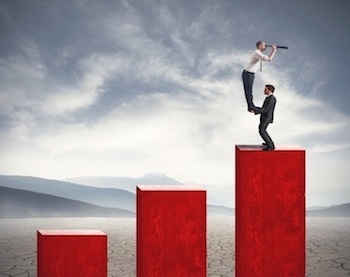 Whether the market pulls back, trades sideways, or just keeps trucking higher, the economy is steadily improving. 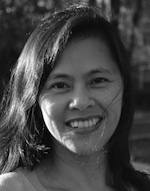 So it’s a good time to follow where the money is flowing in order to be ready when future opportunities present themselves (i.e. 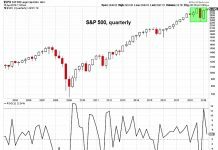 a stock market correction – read my latest post on the coming market pullback). With this in mind, where might investors look for ideas? Perhaps select mining stocks. 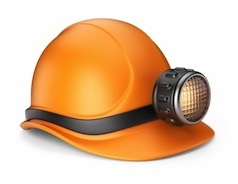 This past Tuesday, big cap and world-wide miner Alcoa Inc. (AA) gapped higher on heavy volume, gaining nearly 7% for the day. Unfortunately, the gap comes after months of trending. Base breakout traders who missed the safer entry point this past fall will be putting AA on their radar, and likely waiting for a pullback. 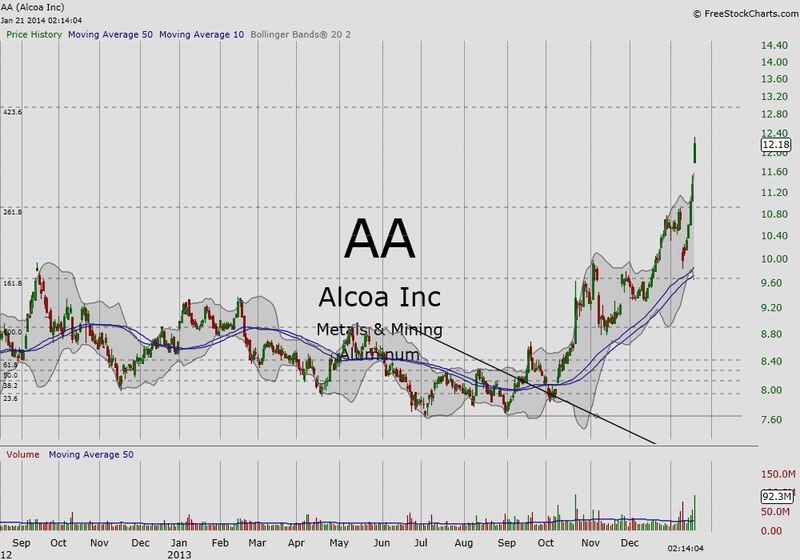 A look from a longer-term perspective and we note that AA has recovered its 10/50 moving average on the monthly chart. Alcoa has not been able to recover its monthly moving averages for the first time since the market crashed in October 2008. 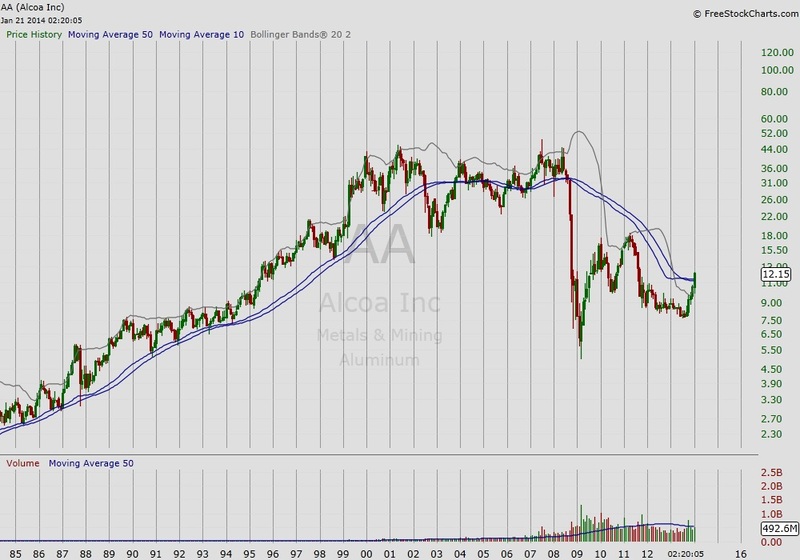 Recovering the monthly (long- term) moving average is a positive sign for Alcoa stock. But perhaps more important, it’s a sign that Mr. Market expects to see further expansion and improvement in the economy as well. And this would bode well for select mining stocks. 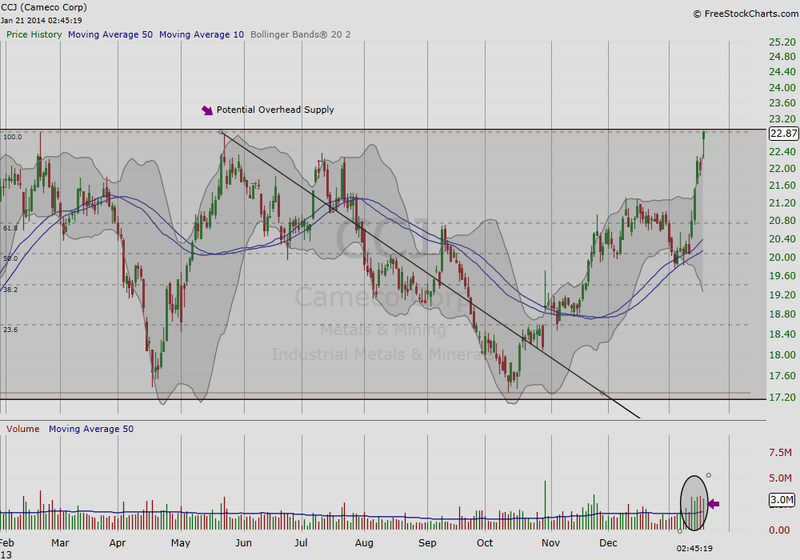 Another miner that gapped higher is Cameco Corp (CCJ). This Canadian company mines and refines Uranium. Note that it is approaching a multi-year high, and potential to hit overhead supply. The volume at the gap is, also, a warning of potential near-term exhaustion. Technical traders will want to see volume at a base breakout, but not before. To understand this in simple terms, new money will be needed to sustain a trend after a breakout to new highs. Both AA and CCJ are demonstrating Mr. Market’s growing interest in mining stocks. 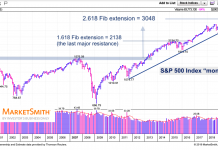 Although the short-term daily charts warn that these names may experience near-term hiccups, both stocks should benefit from an improving economy over the coming months..